Hello lovely readers.!! I wanted to share this post from last September with all of you again. Besides the fact that it involves learning new swear words.! It includes a story about one of my best friends in playa – you know the scuba dive instructor 🙂 Enjoy.! See you tomorrow for a fresh post.!! Why is it that swear words are usually the first words one learns in a foreign language.? Ok, so maybe you do learn how to say “how are you”, “where’s the bathroom”, etc. But really, the first words you learn are the bad words.! The ones that make genteel people shake their heads in disbelief. No need to elaborate here on the English ones, we all know those words. I am talking about Spanish swear words because even I was not immune to this learning curve when I moved to Mexico. Prior to my relocation, I had taken a brief Spanish class on how to count, the days of the week, and certain pleasantries. However, those were all cast aside upon my arrival because all my friends (and my novio) thought it was funny to teach me swear words. I’m not sure if it was my naivete or my accent that they thought was so hilarious. But laugh they did, numerous times I might add. We all remember my love affair with the word pinche..!! My friends still laugh when I use it now.! 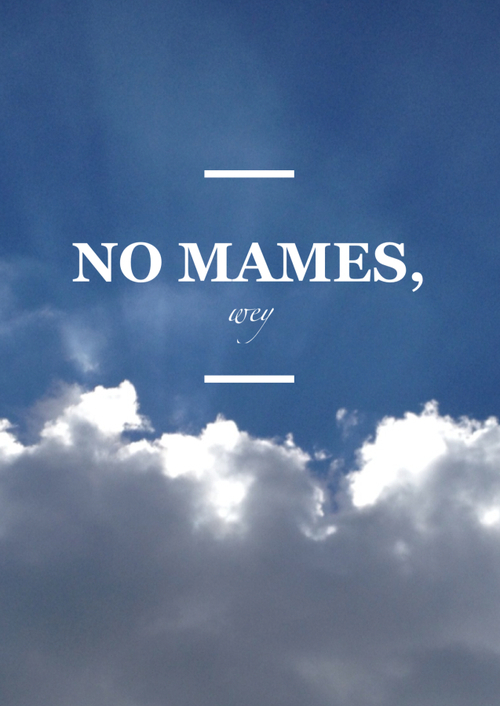 Another expression I learned was no mames. Literally, mames comes from the infinitive verb a mamar which means to suckle. So if someones says ‘no mames’ to you, they are literally saying “don’t suckle the breast”. It is most definitely a vulgar expression and not to be used in polite company. You want to just say this around your friends. Not your boss. Not your teachers. Not your in-laws. However, the actual translation while vulgar is also an informal way of saying “you’re kidding”. It could also mean “stop messing around” or “no way”. For example, if you are telling your friends a story about how your boss did not give you a raise this year or you saw the neighbors getting it on next door with the blinds up – your friends would reply with ‘no mames wey‘. It’s basically used when the story being told is incredulous. As I became friends with more women in Mexico, they put a huge stop to my saying no mames. Basically, they told me it was very vulgar. In fact too vulgar for a nice girl like me. I explained to them that I used bad words in English too, but they were not swayed. So, I stopped. But they quickly gave me a more polite alternative, no manches. 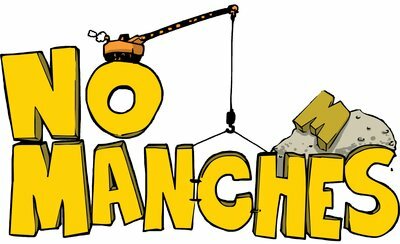 Manches literally means to stain, tarnish or sully. 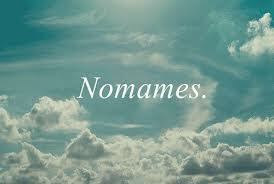 Therefore, no manches means to not stain, not tarnish or not sully. However, its metaphoric meaning is similar to saying “stop kidding” or “are you serious”. So for example, when your friend says that they won the lottery or are dating Brad Pitt – you must respond by exclaiming ‘no manches’.! Even if they really did win the lottery and are dating Brad Pitt..!! For the longest time, I kept my promise to my friends to not say no mames and to use no manches. Until one fateful day, I relapsed. I was riding the combi with my roommate P. and we were sitting all the way in the last row. We were on our way to Akumal for the day. The combi is a small minivan bus that goes between Playa and Akumal. It picks up passengers along the highway too. By the time we left Playa the bus was pretty full. Along the way, other riders boarded and had to stand. Eventually, we stopped and picked up a very tall Western couple. They both had to be about 6 feet tall which is way too tall to stand comfortably on the minibus. Sure enough, the man was standing facing the back of the bus with his back in a stooped position. And his wife/girlfriend was standing facing him in the same position. Eventually, she must have tired of this stance and she went down in a squatting position on the bus..!! Her face literally was in her husband’s crotch area..!! And with all the bobbing and weaving of the combi, you can only imagine what that image looked like to those of us on the back of the bus. 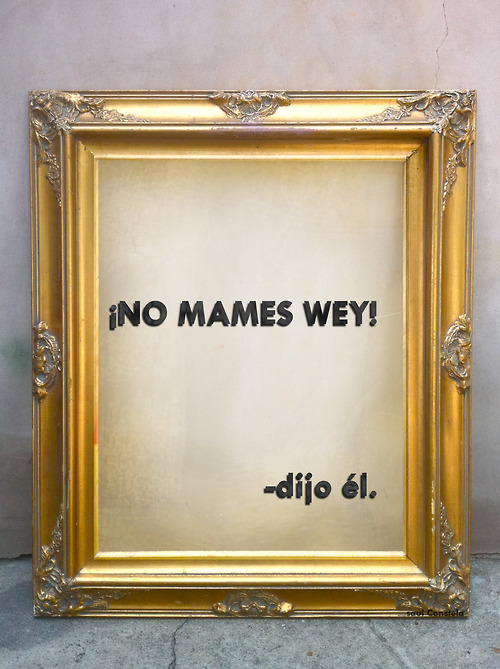 While P. and I sat in muted and stunned silence, from next to us a male voice cried out, “no mames wey.! !” And the entire back of the bus, including P. and I, dissolved into a silent but teary hysteria.! 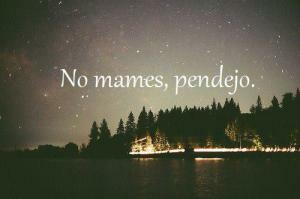 No mames wey..!! For days, nay weeks, P. and I would say to each other and text each other no mames just to recreate that moment in time. Because while we both had lived in Mexico for some time and were learning the language, we were still outsiders who were adjusting to our new home. However, that moment on the bus encapsulated the expression ‘no mames wey’ better than any description or definition prior. And in so doing, bonded us to each other, to the other locals on the bus, to the words themselves and to Mexico with an indelible mark of belonging. In fact, I think I’m going to go text it to her now 🙂 No manches…! !